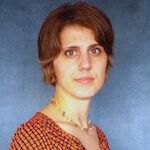 Pascale R. Leroueil is the research manager for health care delivery at the William Davidson Institute. Her research is focused on applying business practices to sustainably address human health needs in emerging markets. She has worked with both public and private health systems to increase their efficiency of care. She also holds an adjunct appointment at the University of Michigan’s Medical School. Before joining the William Davidson Institute she worked in vaccine development at the University of Michigan’s Medical School. She earned a doctorate in physical chemistry at the University of Michigan and a master’s degree in business administration at the Stephen M. Ross School of Business at the University of Michigan.